Exactly what happened in Europe yesterday? The market reacted like it was the Second Coming of the Solution to End All Solutions. No problem here! The European debt crisis is solved! But if you look deeply (almost always dangerous when it comes to Europe) there is more to the market "melt-up" than simple euphoria and relief. What you find is a very disturbing unintended consequence that will come back to haunt us, as, sadly, I have written about in the past. The finger points to our old friends derivatives and credit default swaps. This week, as I recover from a rather nasty bug, we look at gamma and delta and other odd entities that may be behind the real reason for the market response, as we march inexorably toward the final chapters of the Endgame. Let's see how far out on a limb I can go. But first an important announcement. I am very excited to be able to introduce my readers to a mutual fund offered by my friends at Altegris Investments. This special fund is a blend of five commodity trading advisors, or CTAs. Normally, to access a CTA you be to be an accredited investor, with all the net-worth requirements and limited liquidity. But Altegris has figured out how to wrap a mutual fund around CTAs and create a fund of commodity traders with all the usual aspects of a mutual fund (daily pricing, liquidity, etc.). Tonight there are so many moving parts it is hard to know where to start, so in the interest of time we will briefly scan a number of facts and opinions and see if we can come to something like a conclusion. First, let's look at what came out of Europe. Before the summit, German Chancellor Angela Merkel went before her parliament and, in an impassioned speech, basically declared that unless the parliament approved the expansion and leverage of the EFSF the European Union would collapse, along with the decades-long peace that has prevailed. And the Bundestag went along with her – with an important caveat. They made their approval conditional on the European Central Bank continuing to comply with Article 123 of the Treaty of Lisbon, which says that the ECB cannot print money (or words to that effect). The Germans are obsessed with an independent ECB that will maintain the value of the euro – something to do with Weimar being embedded in their collective psyche. "Congratulations and commiserations: next week, you will take up one of the most important central banking jobs in the world; but you will also bear a frightful responsibility. The European Central Bank alone has the power to quell the eurozone crisis. You must choose between two paths: the orthodox one leads towards failure; the unorthodox one should lead towards success. "The eurozone confronts a set of complex longer-term challenges. But the members will not get the chance to make needed adjustments and implement required reforms if it does not survive. The immediate requirements include putting Greece on a sustainable path; avoiding a meltdown in public debt markets of several large countries; and preventing a collapse of banks. Of these, it is the last two that matter. Any effort by the ECB to be the lender of last resort that members need will start a firestorm of protest. People will argue that the central bank may lose money, exacerbate moral hazard and stoke inflation. "….To the first of these objections, the right response is: so what? The central bank's aim is to stabilize economies, not make money. Indeed, it is far more likely to lose money through half-hearted interventions than through forceful interventions that succeed. 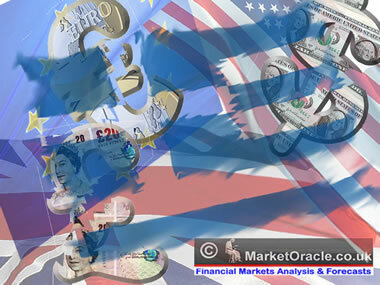 "….The eurozone risks a tidal wave of fiscal and banking crises. The European financial stability facility cannot stop this. Only the ECB can. As the sole eurozone-wide institution, it has the responsibility. It also has the power. I am sorry, Mario. But you face a choice between pleasing the monetary hawks and saving the eurozone. Choose the latter. Explain why you are making the choice. And remember: fortune favours the bold." Martin Wolf is by no means alone in his call for the ECB to aggressively shore up the European sovereigns and bank markets. There is a very long line of establishment types throughout Europe who are doing so, though there is a notable lack of German figures. Indeed, from what I read, the ECB seemed to indicate that after the summit it would continue to buy Italian and Spanish debt. But that commitment was rather vague. As is much of what came from the summit. Italian paper was just north of 4% in July. Today Italian interest rates rose to 5.88%, even with apparent ECB buying. More on the reason for the rise later. They did agree at the summit that private bondholders should lose 50% on their Greek debt. This mostly means banks, pension funds, and insurance companies, along wih the €35 billion owed to the Greek pension system, which promptly declared, "Any solution on the long-term viability of public debt will be accompanied by measures that do not just sustain but visibly improve the current level of the assets of the Greek pension funds.… We are answering the concerns of pensioners and those insured by the system." We should note that the summit decided that the Greeks should also privatize another €15 billion in national assets, on top of the €50 billion they are already supposed to have done, but on which no progress has been made. All the while finding €17.5 billion to fix the hole in their pension funds, which was already so deep that no daylight could seep in. Right, if I was a Greek pensioner I would feel soooo relieved. I mean, if you can't trust the Greek government to do what it says it will do… OK, let's not go there. The Europeans also agreed to leverage the EFSF by some amount, but they were unclear on the details as to what that actually meant. The concept is that they will guarantee the first 20% of losses on any newly issued debt. It was left unstated whether that includes the loans committed to Ireland and Portugal but not yet issued, or just new commitments. Remember, they started with €440 billion but have committed €278 billion already (if memory serves), so that leaves only €170 billion (give or take) that can be leveraged (maybe). If everyone goes along. Somehow, by a mechanism not revealed, this is to be leveraged up to about €1 trillion, which is about half of the lowest estimate I have seen of what is needed. Thus the desperate hope that the ECB will step in, because that is the only real source for the money that will be needed. Keep searching. If a sovereign debt goes south, it's for a whole lot more than 20%. It seems to me that whatever the EFSF guarantees is almost certain to turn into a loss. What self-respecting country would write off less, if the hit is taken by entities that have no votes in the national parliament? 20% becomes the starting point, and then the fun begins. There will be lots of screaming and shouting and gnashing of teeth when those losses come home. Merkel and Co. are selling the whole proposition on the premise that the problem is simply one of confidence, and that if the EFSF restores confidence in the various nefarious government debt schemes, then all is saved. Well, except for Greece. Which has already been flushed. The problem is that it is not a lack of confidence, nor even a lack of hubris. It is a lack of solvency. The simple arithmetic says there is too much debt in Greece and Ireland and Portugal and Spain and Italy. And ultimately France, though Merkel is too polite to say so and knows that she needs their signature, at least for now. Meanwhile, back at the ranch, no one is paying attention to poor Portugal. "Data released by the European Central Bank show that real M1 deposits in Portugal have fallen at an annualized rate of 21pc over the past six months, buckling violently in September. Portugal is rapidly descending to Greek status. Yet another banking crisis looms. "In Dublin, pressure is building on [prime minister] Kenny to seek more debt relief after the government injected about 62 billion euros into the Irish financial system. "The IMF said on Sept. 7 it estimates Ireland's government debt will peak at 18 percent more than the country's gross domestic product in 2013, equivalent to almost 200 billion euros. That's up from 25 percent of GDP in 2007. Think that will sell to Spain, when they have to figure out how to back their banks, which are for the most part basically insolvent? What about Italy? Let's see, what else did they do? Oh, yes. European banks will have to come up with €106.5 billion (don't you just love exact figures? ), which will bring their Tier 1 capital up to 9%. Never mind that Dexia was supposedly at 12% right before it went bankrupt. Tier 1 in Europe is a meaningless construct, as they don't require haircuts for sovereign debt. International Monetary Fund (IMF) chief Christine Lagarde royally annoyed European leaders when she called last August for a €200-billion-euro bank recapitalization. I wonder how they felt when the IMF upped its figure to €300 billion two weeks ago. Nouriel Roubini is an optimist, by comparison – he thinks it will only take €280 billion. And Sarkozy wants the EFSF to bail out the banks, especially the French banks. Which would blow through most of the EFSF's assets, even leveraged. Of course, if each government has to bail out its own banks, then France will likely lose its AAA rating, which will make the EFSF lose its AAA rating, which… Are we having fun yet? I've always had a soft spot for Bunker Hunt. Yes, I know, he was a voracious manipulator who tried (and did) corner the silver market back in 1980, but boys will be boys. Maybe it's a fellow-Texan thing. He went bankrupt because they changed the rules on him. Lesson for all of us: Never assumes the rules are what you think they are just because they are written down, if someone else can change them. You can only push so far and then the peasants revolt. And that is the final thing that happened at the summit. The banks "voluntarily" took a 50% haircut. Voluntary in that Merkel, Sarkozy, et al. told them that the alternative was a 100% haircut. "That's the offer, guys. Take it or leave it." Cue the theme from The Godfather. And because the write-off was voluntary, there would be no triggering of credit default swaps clauses. Because if it's voluntary it's not a default – capiche? And that smooth move, dear reader, triggered a rather significant unintended consequence, which resulted in the market "melt-up." Let me see if I can walk you through this rather bizarre world of derivative exposure without exposing too much of my own ignorance. Let's say you bought credit default swaps on a certain bank's debt (let's use JPMorgan, but it could be any bank) because you think that Morgan is exposed to too much credit default swap risk. Just in case. Now, if (say) Goldman sold you the CDS, they could and would in turn hedge their risk by shorting some quantity of Morgan stock, or perhaps if the risk was sizeable enough, the S&P as a whole. It would depend on what their risk models suggested. But as of yesterday, the risk evaporated: there would be no CDS event. So why buy CDS? Time to cover. And then the shorts get covered. Further, the risk to financials was cut by a large, somewhat murky amount. But it was definitely cut, so buy some risk assets. Which puts any long/short hedge fund in a squeeze, especially those with an anti-financial-sector bias. But because of the nature of the hedge, the whole market moves. It involves rather arcane concepts that traders call delta and gamma. (Remember that the recent rogue traders had been at delta trading desks?) Guys at those desks can calculate that risk in a nanosecond. You and I take a day just to wrap our head around the concepts. And it just cascades. The high-frequency-trading algo computers notice the movement and jump in, followed quickly by momentum traders, and the market melts up. Because a significant risk was removed. But not without cost. Let's go back to where I noted that Italian interest rates are rising even as the ECB is supposedly buying. What gives? It is clearly the lack of private buyers, and a lot of selling. Because now you can't hedge your sovereign debt. If you ever need that insurance, they will just change the rules on you, so why take the risk? Destroying the credit default swap market will make it harder to sell sovereign debt, not easier. Those "shorts" were not the cause of Greek financial problems; the Greeks did it all to themselves. As did the Portuguese, and on and on. Now admittedly, rising CDS spreads called attention to the problem, much as rising rates did in eras long past. And that did annoy politicians. And clearly, banks that had exposure to that market got the "fix" in to make their problems go away. Now, I know I am greatly oversimplifying the CDS situation. Even so, a great deal of the volatility of recent times can be laid at the feet of the CDS market, because it is so opaque. There is no way to prove or disprove my speculations, because there is no source that can really plumb the true depths of the situation. And that is the problem. I am not against CDS. We need more of them. But they should all be moved to a very transparent exchange. If I buy an S&P derivative (or gold or oil or orange juice), I know that my counterparty risk is the exchange. I don't have to hedge counterparty risk. The exchange tells whoever is on the other side of the trade that they need to put up more money, as the trade warrants. Or tells me if the trade goes against me. The banks lobbied to keep CDS "over the counter." The commissions are huge that way. If they are on an exchange the commissions are small. This was a huge failure of Dodd-Frank. And we all pay for it in ways that no one really sees. As the Bastiat quote at the beginning said, there is what you see and what you don't see. I am not arguing against hedge funds here. There is a need for short sellers in a true market. But that selling should be transparent. In a regulated exchange, you can see the amount of short interest. Everyone knows the rules. But without an exchange, things happen for reasons that are not apparent. An event like the Eurozone summit changes an obscure rule with some vague clauses about triggering a credit event – and the market reacts. This time it was a melt-up. Next time it could be a meltdown, as it was in 2008. CDS markets should be moved to an open regulated exchange. And while we are at it, high-frequency trading should be stemmed. This could be done easily by requiring all bids or offers to last for at least one second, instead of a few microseconds. You make the offer, you have to honor it for a whole second. What a concept. That would not hurt liquidity, but it would cut into the profits of the exchanges (especially the NYSE) – but I thought these were public markets and not the playground of the privileged few. If it weren't so cold here in New York, I might just wander down and join Occupy Wall Street and see if I could enlighten a few minds. If those kids only knew what they really should be protesting. Then I am back for a day or two and then off again to Atlanta for the Hedge Funds Care fund-raising dinner, where I will speak. You should come. http://hedgefundscare.org/event.asp?eventID=74. Then the next week I am at the UBS conference outside of DC, and then home for most of the next nearly two months – or at least that's the plan. I am looking forward to putting in some time in my own bed! I am indeed recovering from some nasty variant of flu. I so rarely get sick (for which I am grateful) that this one really kicked my derriere. I am still somewhat weak, but at least can type and talk and expect to get back into the gym soon. I miss it. Last night was tough. Alone in my room, I watched the Rangers blow two opportunities to win a World Series. Twice we were within one strike. Just one lousy strike. TWICE. And tonight we were clearly not in it. I am getting reports on my phone from my kids as I write (I can't bear to watch while we are way behind). Oh well. Wait till next year! It is time to hit the send button and get some shuteye. Sunday will be a family brunch, where we will console ourselves about the World Series, and just enjoy ourselves. Have a great week!